Michael Stanley Boggs obituary. Carnes Funeral Home. Michael Boggs was born in Mansfield, Ohio on February 29, 1956. He passed away on Friday, February 2, 2018 at the age of 61, at Harbor Hospice in Houston, Texas. He was preceded in death by his mother, Wanda Boggs, his father, Ore Boggs, and his sister, Joyce Hall. Mike is survived by his wife, Cathy Boggs, mother-in-law, Felice Mathisen, son, Christopher Boggs, two daughters, Kathryn Chambers and Michelle Sliger and her husband, Sidney Sliger, all of Texas City. His brothers, Donnie Boggs and Frank Boggs, 3 sister-in-laws, Kay Alonzo, Diane Higginbotham and Penny Mathisen and two brother-in-laws, Fred Mathisen and Lonnie Mathisen. 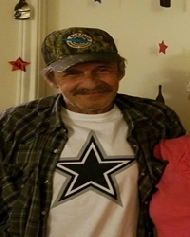 He had 9 grandchildren: Andrew Mathisen, Aaron Chambers, Evan Mathisen, Madalynn Sliger, Sean Sliger, Abigail Boggs, Addison Boggs, McKenzie Boggs and Dallas Boggs, and a large extended family. Mike grew up in Mansfield, Ohio. He graduated from Ontario High School then joined the U.S. Army, afterwards he moved to Texas. Mike and Cathy were married for 37 years. Mike worked at Dunn Equipment and then as a truck driver at Blue Flash. Mike was a great father, husband and was always there for his family. A memorial service will be held at Memorial Lutheran Church in Texas City on February 24, 2018 at 11am.